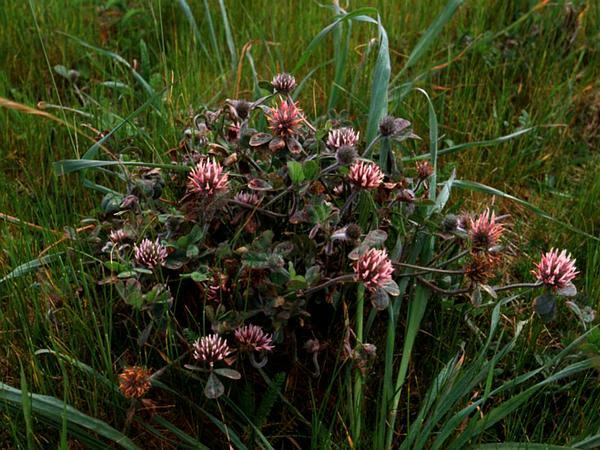 Trifolium Hirtum, or more commonly know as Rose Clover, is a forb/herb (a forb/herb is a non-woody plant that is not a grass) with green foliage and red flowers of the genus Trifolium. It has a rapid growth rate and a height of 1 feet at maturity. Its duration is annual which means it grows for one season only. It's active growth period is fall winter and spring, blooms during early spring and is somewhat tolerant of shade. Trifolium Hirtum or Rose Clover's floral region is North America US Lower 48, specifically in the states of Alabama, California, Florida, Kentucky, Louisiana, North Carolina, Oregon, Tennessee and Virginia.